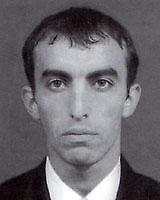 He was born in Shamkir in 1982. He is a student of the Azerbaijan State Academy of Arts. His poems and articles have been published in Azerbaijan press. He is a member of the Azerbaijan Cartoonists’ Union from 2007.